Product categories of Flower Candles, we are specialized manufacturers from China, Flower Candles, Floating Flower Candles suppliers/factory, wholesale high-quality products of Lotus Flower Candles R & D and manufacturing, we have the perfect after-sales service and technical support. Look forward to your cooperation! 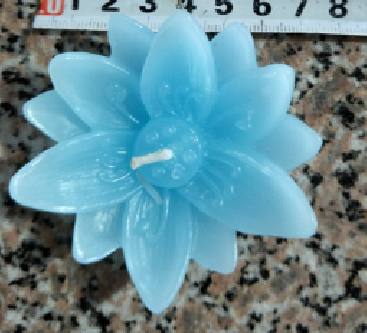 We can produce the candle with flower shape mould, such as lotus flower candle, Floating Flower Candles, the candle shape also can be customized. Some of the flower candle can be floated, some of the candle petal can be opened with music.